I was able to make some progress on my home office makeover this week. Due to numerous transportation issues up and down the East Coast, the new desk will be arriving Sunday instead of yesterday, but I cannot complain! 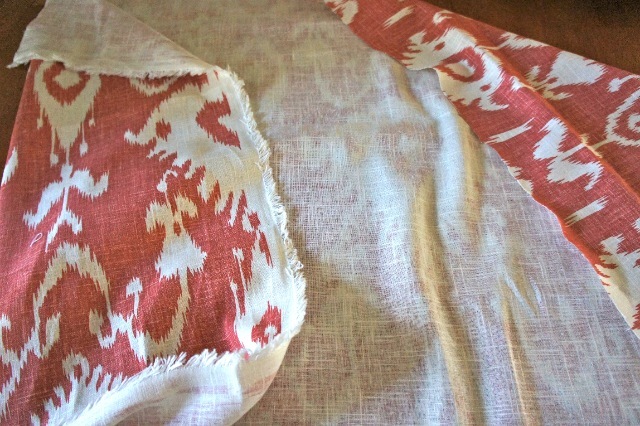 I decided to focus on a couple projects that were on my list. One project was to make a custom cork board to pin fabric swatches and paint chips. 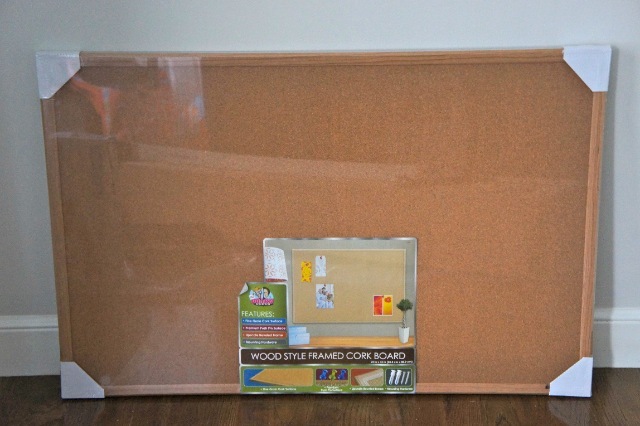 I started with a basic framed cork board from Target. Practical, but not very pretty. 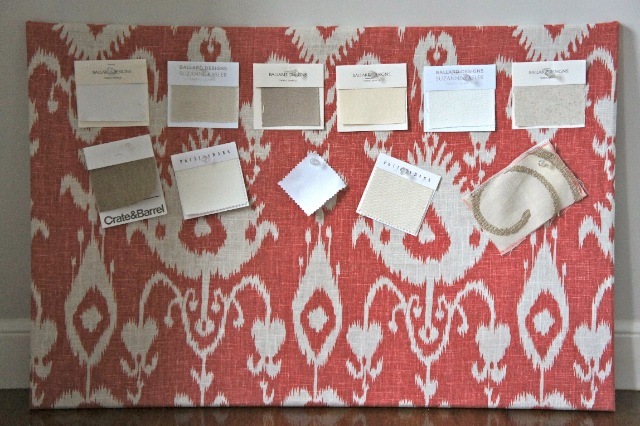 I ordered this beautiful Ikat print linen fabric from Ballard Designs. Not super cheap, but I didn't need very much. 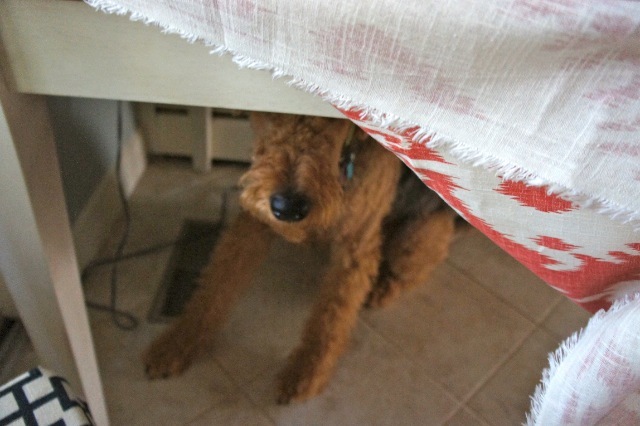 I laid the fabric pattern-side down on a table and ironed out a few wrinkles. 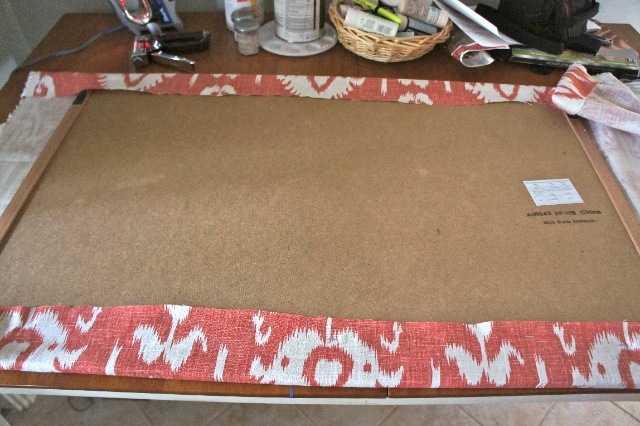 Next I placed the cork board face down on the fabric and centered my pattern. 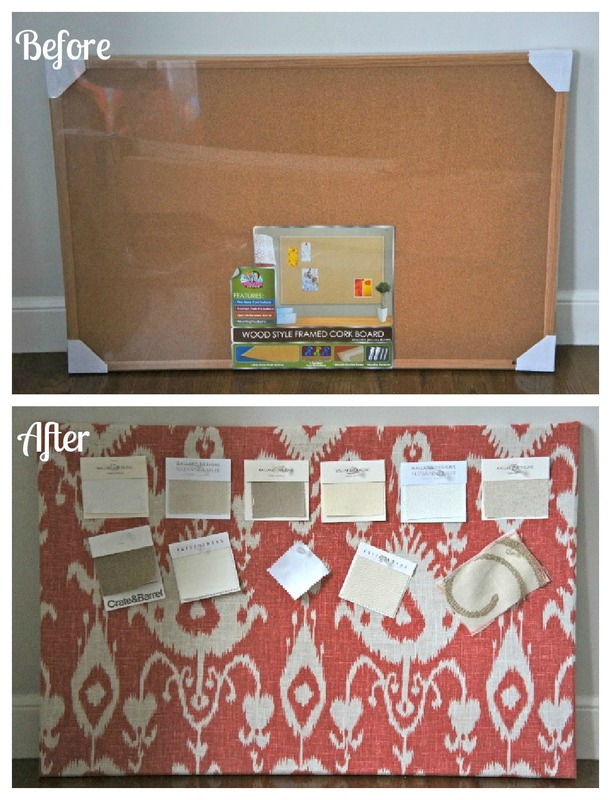 I folded the fabric over the edge of the cork board and used a staple gun to hold it in place. I worked my way around the board, doing the top and bottom first, then the sides, alternating staples on each side. 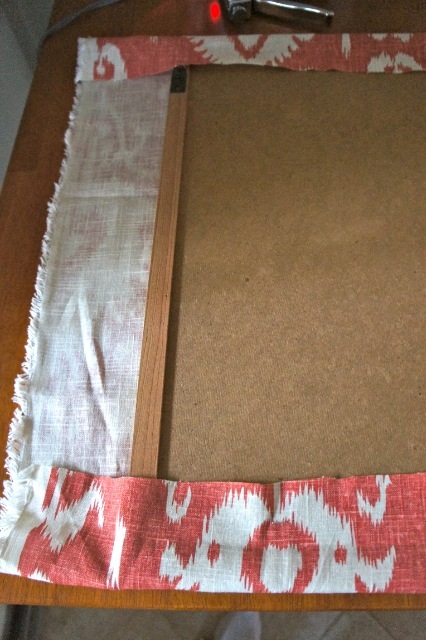 Lastly, I folded the corners and stapled those in place. My little protector helper always at my feet. This project took me all of 30 minutes and that counts the 29 minutes, 10 minutes it took me to figure out how to load more staples into the staple gun. 'll be hanging this above my desk once it arrives. Cute! I really need one of these for my office space too! You did such a good job! It looks great! Cute. I wonder if I could make one for our kitchen or if that would look strange...we need a place to put things like announcements and invites (not the fridge!). Oh my I love it!!!! So simple so perfect! I'm so glad to have found your blog as well!